Painted wall cabinet perfect for bathroom storage. Made from pine. 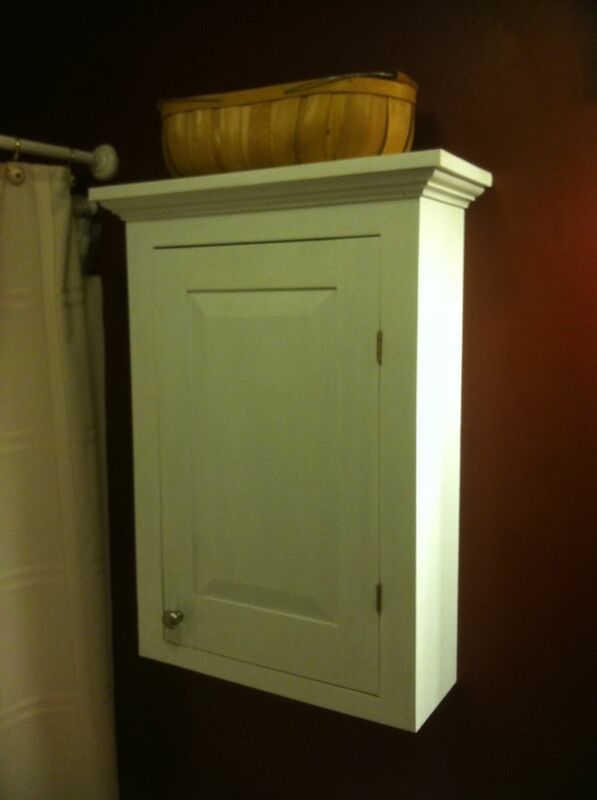 Raised panel door and simple crown molding.